The activities that you choose for open house in the elementary or Kindergarten classroom will vary dependent upon the time of year/season of your open house and this also varies by school. I have compiled some successful open house activities for teachers to use in the primary grades for the fall. The content of these ideas can be used and applied to the season of your open house. Just as with any classroom activity you want to have a plan. For any school special event in the primary grades, I have my students write an invitation to bring home. This is a personalized invitation from the student to their family that is also a sample of teaching that you are doing in the classroom. I use the interactive writing process to do this. You can learn more about using the interactive writing process everyday in the classroom here. I start by asking the students, what will we need to say when inviting someone to a party or special event? They brainstorm ideas like, where the event takes place, what time and when. I show them a sample of some hand-made and store-bought invitations and display an enlarged hand-made one on a poster. Then we begin to format our invitation. Depending on the grade level and time of the year, I would likely use a form for students to fill in, like the one below (sample one) in the beginning of the school year. Later in the year I would use sample two and students would write their own invitation completely. Please come to our open house. Please come to our open house on _______________, in the __________________ at __________ o'clock. Plan a classroom activity to show parents what students are learning in the classroom, by writing and publishing a classroom book for the students to share at open house. 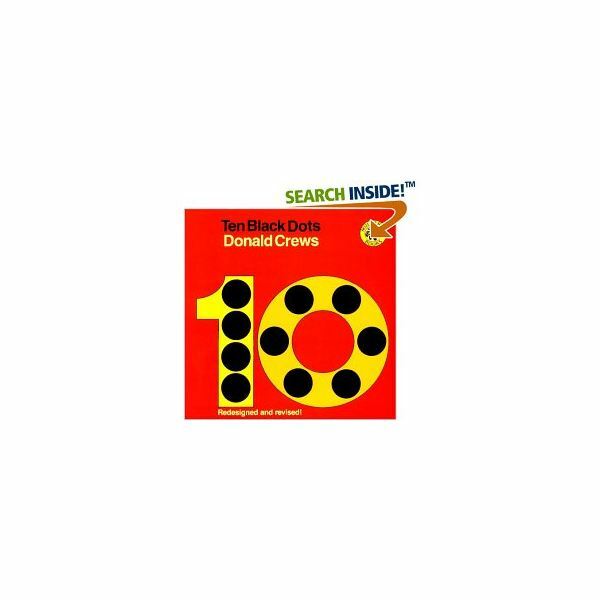 I read the book Ten Black Dots by Donald Crews. Then we recreate our own version called Ten Colored Dots, written and illustrated by our class. Although this is primarily a writing/reading activity, you can also integrate mathematic concepts by counting to ten, adding on, and learning color and number words (as below). 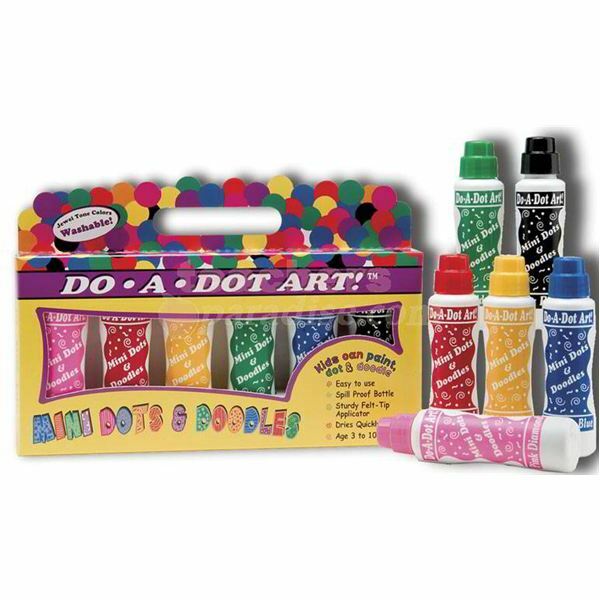 Materials: Chart paper, colored markers, writing paper, pencils, Do-A-Dot blotters (image below). Prior to this activity, I would already have several other number word and color word lessons. After several readings of Ten Black Dots, ask the students, what do you think we could do with colored dots? I give my own example. “With five yellow dots, I can make a banana.” I demonstrate my writing and illustration in front of the class. Next we make a predictable chart with the words, “With ____________(one, two…) ____________ (color word) dot(s) I can make a ___________.” It will take at least two sessions to complete the predictable chart. When the predictable chart is complete, we touch and read our sentence. Next, I cut each students’ sentence and give them a piece of writing paper to write their sentence. Next I give them their Do-A-Dot blotter in the color that they chose and they make their pictures with the number of dots that they chose. They can embellish their drawing with crayons, but can only use the number of colored dots that they wrote in their sentence, so that the picture matches the words. When completed we compile into a book and we have a nice open house writing sample for parents to see. In the fall, I like to do an apple and pumpkin theme. At open house I provide a candy estimation activity for parent and child to reinforce our pumpkin theme. I place a number of candies in a plastic pumpkin and leave sheets of paper, pencils and a jar next to it. When families enter the classroom they start with the pumpkin estimation activity. Together they look at the pumpkin to estimate how many pieces of candy are in it and place their entry into the jar. This is a fun activity for parents because they usually get a chuckle when their Kindergartener is convinced that there must be 5 pieces of candy and the parent has to negotiate with the child to try to persuade him or her to believe that there are more than five. The next day at school, I help the students who did not attend open house to make an estimation and enter them. Then we count the correct amount and see who came the closest. Whoever comes closest wins the pumpkin and candy. Again, depending on the time of year of your open house modify this activity to suit your needs. For example, you can estimate the number of candies in a snowman, valentine heart, easter egg…. I always enjoy sharing the joy of teaching with parents at open house. This is your chance to shine, share your classroom and begin to establish a relationship with the families. I give parents handouts explaining the goals that I have for the students. If you are interested, I wrote more about effective parent teacher communication here. You can even post a description in each one of your centers of what the students do there. I like to find free handouts to give to parents as well. A great source for free (research based) material can be found at The US Department of Education. You can order how many you need (yes for free) and your order will be shipped directly to you at your school. I keep handouts on a table in the classroom for parents to choose from. Another Bright Hub author has written a very good summation of problems and solutions for open house. Although this was written with middle school classrooms in mind, the difficulties at open house that she addresses are appropriate for any grade level. Written from teacher experience; please reference the author, Laurie Patsalides.